DNG Maxwell Heaslip Leonard - Francis Street, Galway. Let us LET for you! "It takes a lot of skill to sell a house in the countryside and after a very disappointing start to try and sell our house we asked Fergal Leonard to take on the task. Fergal was professional at all times, very knowledgeable about the local area and an excellent negotiator. Thanks a million Fergal, the whole process was seamless and stress free from start to finish. You took care of everything. I am singing your praises to all who will listen." "When I engaged DNG Maxwell Heaslip & Leonard to sell my house, I was under huge time constraints to get my property in order and ready for viewing within a short period of time in order to sell at their upcoming Auction. With the expert help of James Heaslip, we very quickly organised the BER, photography and cleaning so no time was wasted in getting my house on the market. I would have no hesitation in recommending James & his team at DNG Maxwell Heaslip & Leonard." "I have always found the staff very efficient in their dealings with me and my Rental Property. I am informed when problems arise and they offer solutions for my approval. The regular financial statements they provide are detailed and informative and are useful for monitoring rental records and for tax compliance. I am very happy with the service provided." 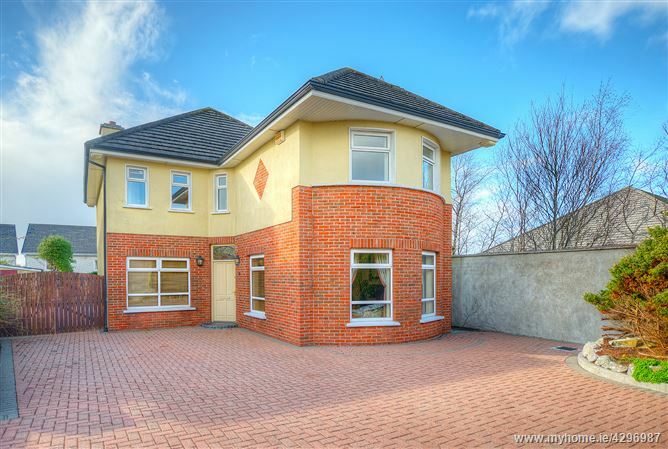 "We asked Fergal Leonard to take on the task of selling our house. DNG insists on taking professional photographs and we got a free ad and write up in the Galway Advertiser, curtesy of DNG - People were queueing up to view the house. Fergal made sure he told the buyers the important details about the house and the area and he had the house sold two weeks later! The whole process was seamless and stress free from start to finish." "DNG Maxwell Heaslip & Leonard have managed my rental properties for many years. I’ve always been happy with the service they provide and with their efficiency in paying rent to me. They are the point of contact with all my tenants and they contact me whenever they need me to make a decision about something. I would recommend them to anyone seeking a good Rental Management Company." "James was really organised with getting my property advertised online and also gave me plenty of time ahead of viewings. He was always on hand to answer any questions I had and to resolve any queries. I would have no hesitation in recommending James to my friends and family as he was extremely efficient and professional in his dealings and kept in regular contact until the very end with all the help required in closing the sale on time."